The United States Marshals Service International Investigations Branch has notified the Levy County Sheriff's Office they located and CAPTURED Ron Shepard recently in a small fishing village in Mexico. Shepard was extradited to the United States on 7-10-12 and is on-route to a Benton, Ill federal detention facility. Shepard will be presented to a Federal Judge regarding his pending violation of probation on a former federal charge. Levy County Sheriff's Office is in the process of filing detainer's with the Federal Government to extradite Shepard to Levy County. The Suwannee River Fail & Livestock Association took a huge financial hit when Ron Shepard and Jeremy Pierce failed to deliver the proceeds of the Tri-County Fair cattle sale to Larry Lindsey, broker for the cattle sale. Fair President Loran Brookins promised and made good the payment to OUR children for all of their hard work in raising the livestock for the show. 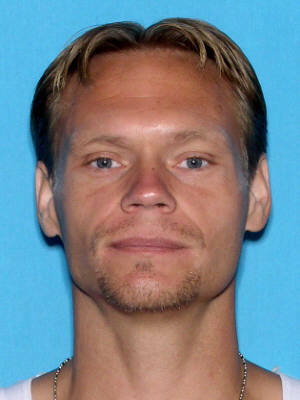 Jeremy Pierce has been in custody in Illinois after turning himself in a day after warrants were issued in Levy County. 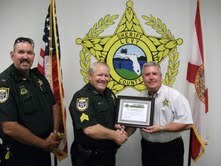 On July 5, 2012, Sheriff Smith promoted Cpl. Todd Houchin to the rank of Sergeant for the Patrol Division. At this time, Sgt. Houchin is with Alpha Company, under Lt. Perry Ott as Watch Commander. Sgt. 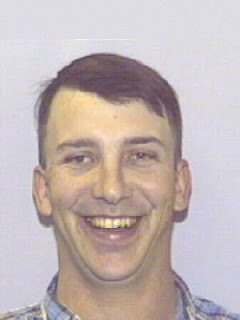 Houchin began his law enforcement career with the Cedar Key Police Department in February of 1998. He became employed with our department in August 1999 and has continued his career here. Todd was promoted to the rank of Corporal in February 2003, assisting with supervisory duties with his patrol shift. After much consideration, Sheriff Smith promoted Todd to Sergeant. Todd has "stepped up to the plate" in a leadership role for his shift and we look forward to great things from him in his career at the Levy County Sheriff's Office. Suwannee River Fair & Livestock Assoc. They just cannot catch a break! Suwannee River Fair and Livestock Assoc. president Loran Brookins made a saddening discovery on Tuesday July 3, 2012. Brookins went to the Fairground to conduct some business. When he tried to turn the lights on, nothing happened. Thinking a breaker had blown, he checked the electrical box only to discover that the copper wiring had been stripped. It appeared that the suspect(s) broke a window to gain entry into the showroom area of the pavilion. Once inside they removed approximately 1000 feet of wiring for the lights, taking time to remove the wires from the walls, wire from inside the conduit to the electrical sockets and lighting fixtures and the adjoining offices. There is thousands of dollars worth of damage, for a few dollars in copper. Copper thieves are difficult to capture. However, new laws have recently passed that require persons' who scrap copper products sign a statement where the copper came from. The Levy County Sheriff's Office is currently looking for any lead that would identify the party responsible for this crime. If you have information please contact CRIME STOPPERS at 1-877-349-8477. You could be eligible for a reward. On 7-7-12 Levy County deputies responded to 8350 NE 61 Place Bronson, Fl to a reported shooting. When deputies arrived they located and spoke to Robert Bishop 10-13-49 who had suffered a single gunshot wound to the back of his right calf. Bishop reported to deputies that he had been at his friend, Johnny Pettry's, home and had been practicing his "Quick Draw" with his single action western style .357 revolver. After taking several shots, he cocked the hammer and was drawing the weapon from the holster when he prematurely pulled the trigger. A single round struck the back of his right calf and stopped short of exiting near his ankle. Bishop was transported to Shands at UF by Levy EMS for treatment of his wounds. On July 2, 2012 Jesse J. Crain registered as a Sexual Predator with the Levy County Sheriff's Office. By Florida law Crain is required to notify law enforcement whenever he changes his address. Jesse J. Crain was convicted in Pinellas County in 2002 for Lewd and Lascivious Molestation on a child under 12. Crain has now moved to the following address in Levy County and has registered his address of residence as 11851 NE 106 Court Archer, Florida. This morning at 0924 the Levy County Sheriff's Office received a call from a distraught Chiefland resident. While enjoying her morning, someone attempted to kick her door off the hinges, as she described to a 911 operator while taking refuge in a back bedroom. Relaying information to the 911 operator, she was able to describe the subject who was now fleeing from her home. She told the 911 operator that a black male suspect was driving a small white 4 door car, similar to a Grand Prix, was now leaving her property. Deputies from LCSO and Officers from Chiefland Police Dept flooded the area. Shortly after setting a perimeter, Sgt. Mike Narayan encountered a vehicle similar in description given by the caller. As Sgt. 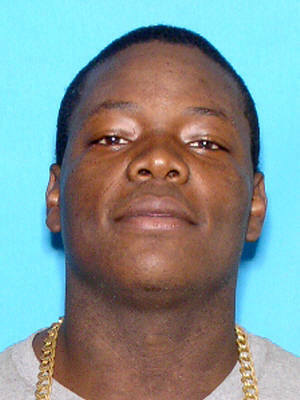 Narayan attempted to conduct a traffic stop, the driver whom he recognized as Willie James Ellison Jr. 10-28-92, fled in a vehicle he identified as a white Chevy Lumina. Ellison accelerated to speeds in excess 85 miles per hour on US Hwy 27 toward Bronson, Fl where he lives. With officers in pursuit Ellison was able to avoid running over Stop-Sticks placed in his path at the intersection of CR 32. Momentarily losing control of his vehicle, Ellison was able to straighten out, however continued to flee going the wrong way on US Hwy 27 until he entered Bronson city limits. Ellison then made a few quick turns and was able to exit surface roads into the residential area northwest of Main Street. Abandoning his car, Ellison fled on foot and has since been able to evade capture. Anyone who can provide information regarding Ellison's current whereabouts is asked to call Crime Stoppers at 1-877-349-8477. You could be eligible for a reward.